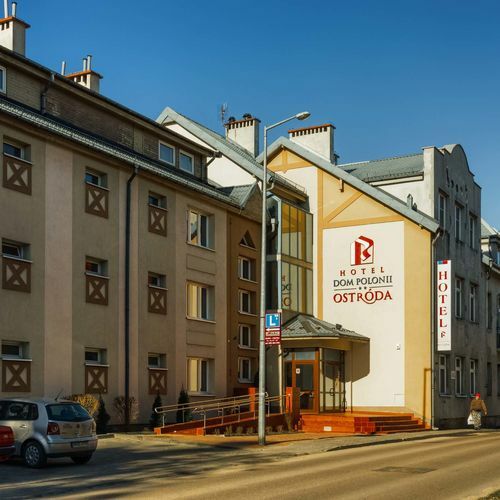 Rooms, services Guests looking for accommodation in Ostróda are welcome to book 36 nicely furnished rooms at Dom Polonii w Ostródzie. With child-friendly services being available the hotel is also suitable for children, and would be pleased to host all members of the family for your stay. Your small pet is also very welcome during your stay at the hotel. An additional fee applies to taking your pet here. There is a parking space available on the spot, so in case you are arriving by car, you will be free to leave it there without any additional costs. At the hotel you may go online via wireless Internet connection (WiFi). 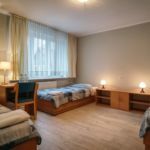 If you wish to learn more about the exact scope of services provided by Dom Polonii w Ostródzie (including those available for an extra fee) or about the equipment of the rooms, you can find the complete list on the information sheet below and on the information sheet of the given room. Payment The hotel is offering you the following methods for payment: cash, debit/credit card, bank transfer. To confirm your reservation Dom Polonii w Ostródzie is asking you to pay 50% in advance. Arrival, opening hours The earliest time to check in at the hotel is 14:00, the latest time to check out is 12:00. The personnel of the hotel can speak with you in English, German and Polish languages.